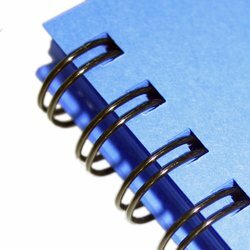 A professional and heavy-duty wire binding module. The WBM-532 was designed with a full range of function and premium quality components to guarantee an effortless and professional bind as well as many years of trouble-free service. This machine is a wire closer only, there is no punch in this machine, it is designed for high use environments where there may be an existing electric or manual punch. 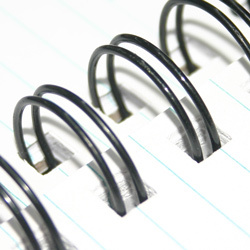 The WBM 532 is a model of versatility in the wire binding world. This remarkable wire closer can easily handle all of the common sizes and types of wire binding supplies and spines. What this means to you is that this machine can deal with that are of either 3:1 or 2:1 pitch. No matter if your books require the smallest or the largest binding spine, this great new machine can handle them all. In a world of specialties, you have now found a machine that can do it all. Though the throat of the WBM 532 is fourteen inches (perfect for legal and letter sized booklets), you will have the ability to easily close wires that are longer if need be, meaning that you can create documents that are any size with the help of this handy little machine. The WBM is a standalone workhorse, which means that you won't need any other units on hand to hole the wire spine for you while you are working. This really helps to increase productivity, and that's what it's really all about. 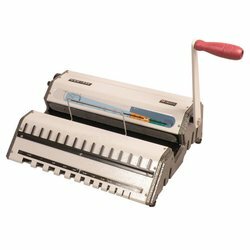 Unlike a lot of wire closers on the market, the WBM 532 is engineered to work in a vertical fashion, meaning that you get to use gravity to help hold the spines in place as you work. This makes the process so much easier, you'll wonder why more machines haven't thought of using this setup. Just to make things that much easier, the WBM 532 also features an integrated wire holding device. The WBM532 also features a handy spine selector that lets you place your document inside, measure the thickness, and select the binding spine that is correct for the needs of each particular book or booklet. Placed conveniently at the front of the machine, this simple feature can save you lots of time and frustration. There's also a great closer controller attached that helps to guarantee that each and every wire spine will close both quickly and correctly. The WBM 532 is constructed of all heavy duty metal parts and components, so you can be sure that you will get years and years of service out of this well-designed unit. Even the most high volume users would be hard pressed to wear this rugged device out. The WBM532 makes life easier. A broad statement perhaps, but any machine that comes with the ability to do it all is worthy of such high praise, don't you think?